The complete OpenEXR feature set is implemented as far as compatibility with Photoshop allows. Custom options ensure that Exr-IO can adapt to the production pipeline requirements of as many different industries as possible. 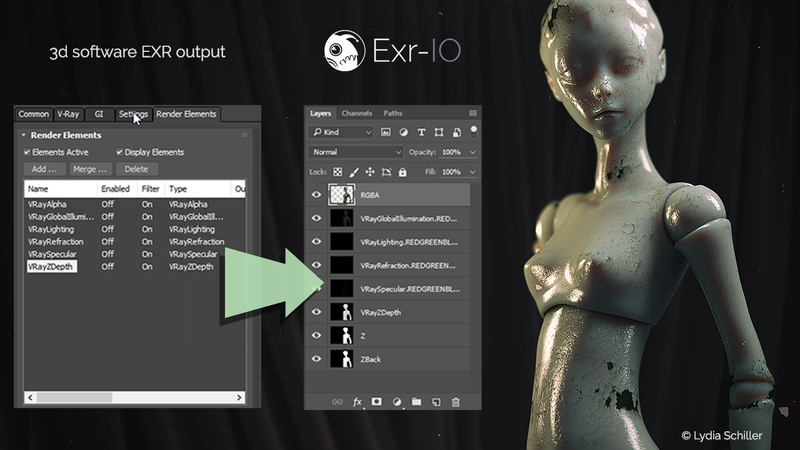 Exr-IO turns OpenEXR images into Photoshop readable content: all OpenEXR data is translated into editable layers. This provides a perfect visual structure ans allows for advanced compositing and editing. An accurate implementation of the current OpenEXR standard imports data for precise work. This benefits both art and scientific image analysis. The OpenEXR data specifications have been considered with Photoshop’s features and workflows in mind to preserve maximum possible lossless data transfer to and from Adobe Photoshop. 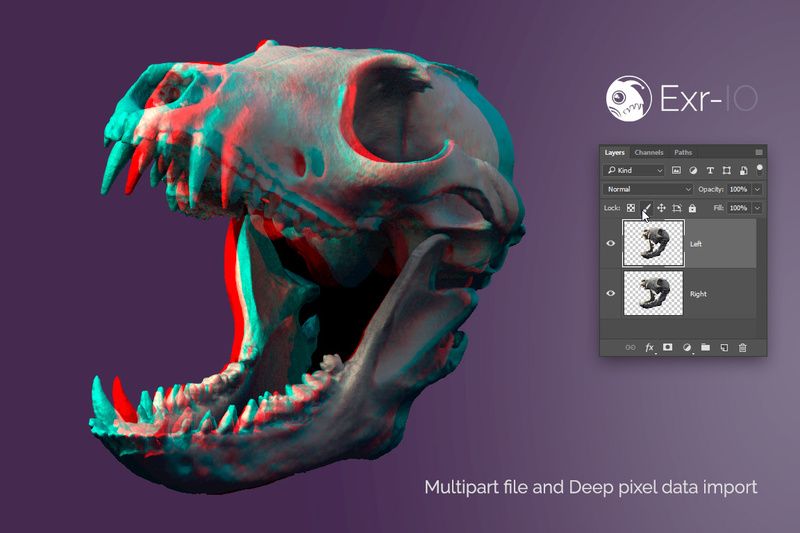 Import your complex multi-channel renders and composite them in Photoshop. Exr-IO preserves Photoshop’s specific layer options in the OpenEXR files it writes to simplify production. Everything can be contained in a single OpenEXR file and it is no longer necessary to store different elements in separate OpenEXR files to accommodate Photoshop’s default handling of the file format. Exr-IO functions as a loader and saver for OpenEXR files, both offering exhaustive compatibility and feature support. Import and export data in a way that adapts to your production requirements. Do you want to load transparency included in the layers? Or do you prefer separate alpha layers? Choose your preferred output options to adjust the file size to your work environment. Are you creating texture maps that should be loaded as quickly as possible? Or does your environment have size constraints and you want small files that still benefit from advanced features like high color depth? Exr-IO aims to support the requirements of different industries by making all these features available to users for free. 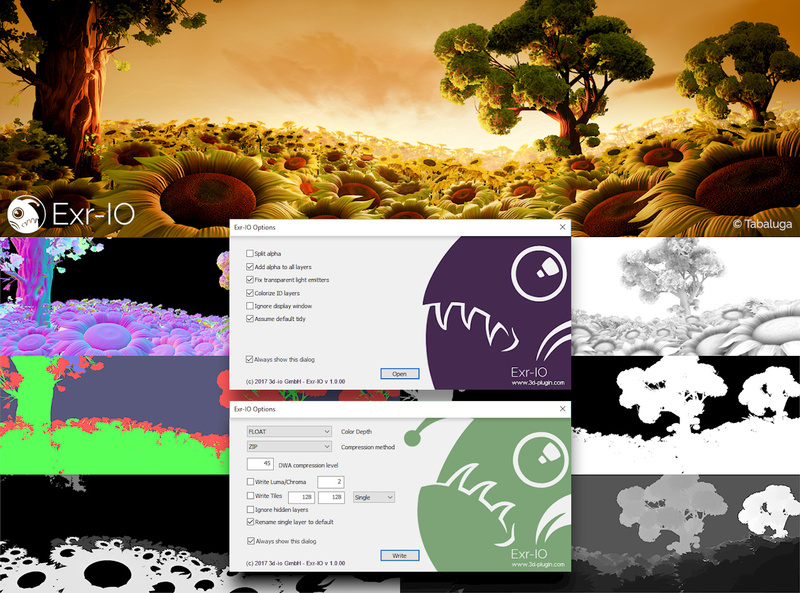 Layer order, opacity, blending modes and visibility settings can be saved and loaded in OpenEXR files. Exr-IO reads multipart OpenEXR files and files containing deep pixel samples. 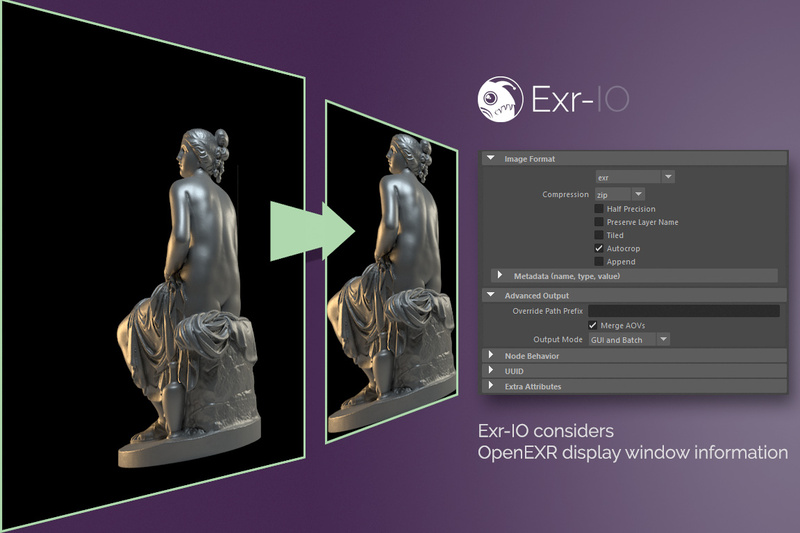 Deep pixel data is not supported by Photoshop but Exr-IO opens all OpenEXR files that include deep data and merges the data for Photoshop compatible display. Alpha channels can optionally be split into separate layers. They can added to other layers that don’t supply their own opacity information. 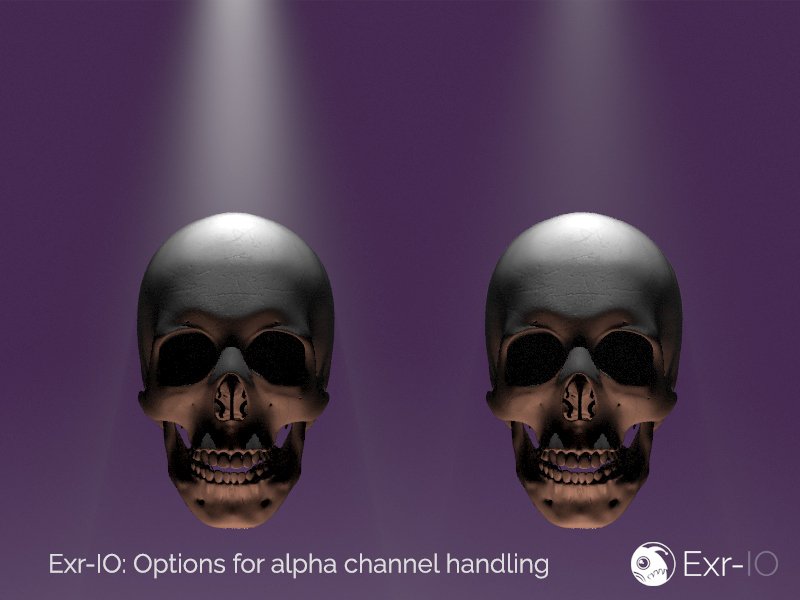 Exr-IO offers additional opacity correction to support transparent light emitters. 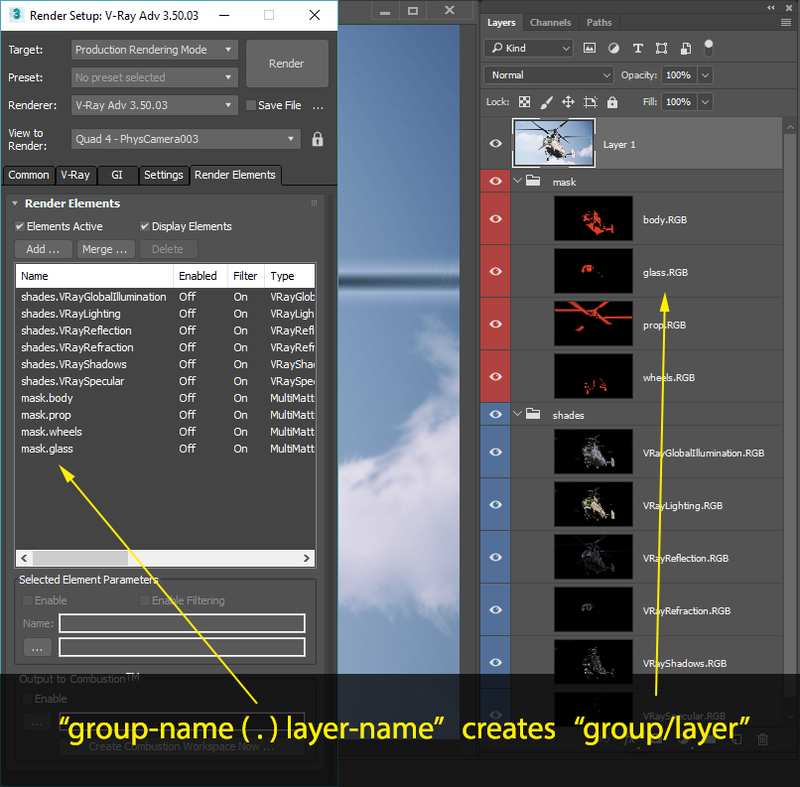 Using OpenEXR syntax you can automatically import groups of layers in Photoshop and offers improved automation support. Display window information stored in the EXR file is considered during the import in Photoshop.